In this three-part series, the world’s leading trauma researchers and clinicians share their knowledge and perspectives on the nature of trauma, how it is experienced and how when left untreated continues to be re-experienced. You will learn a paradigm for understanding trauma’s far-reaching psychological and physical consequences, without which, psychotherapeutic interventions remain extremely limited, and at times harmful to our clients. 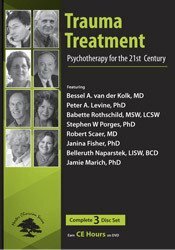 This understanding of trauma and its sequelae is essential to any clinician working in the field of psychotherapy. Join the world’s preeminent trauma experts as they share not only their knowledge and clinical acumen, but their most regrettable (and remarkably similar) clinical mistakes. With warmth and grace, they share the successes and failures that have shaped the current trauma paradigm- including new demands for awareness, attention to the body, visceral safety and mindfulness. Learn from the world's leading trauma clinicians and researchers a coherent, comprehensive theoretical basis for understanding the physiology and neuroscience that underlie trauma. You learn the most effective and dangerous techniques, the physical nature of trauma and why trauma effects each client differently. This DVD features the world's leading experts on trauma treatment discussing the latest and most effective modalities for optimal treatment outcomes. Learn how to effectively work with memories, process traumatic materials, which modalities are the most effective and new diagnostic issues and updates. Multi-disc DVD recording (3 hours, 35 minutes) with instructions. List the symptoms of trauma-hyperarousal; affect dysregulation; dissociation, body memories and "flashbacks"
Jamie Marich, Ph.D., LPCC-S, LICDC-CS, RMT, is the author of Trauma Made Simple: Competencies in Assessment, Treatment and Working with Surviviors (PESI, 2014), EMDR Made Simple: 4 Approaches for Using EMDR with Every Client (PESI, 2011), and two other books on trauma recovery. Marich began her career in human services working in humanitarian aid in Bosnia-Hercegovina from 2000-2003. Jamie’s journey with EMDR began as a client in 2004, and she’s offered EMDR therapy as a clinician since 2006. An EMDRIA Certified Therapist, Approved Consultant, and Continuing Education Provider, Jamie was the EMDRIA Research Poster Award Winner in 2008 for her qualitative research on EMDR and addiction. Jamie’s doctoral dissertation on the use of EMDR in addiction continuing care was published in Psychology of Addictive Behaviors, a major APA journal. As of 2015, Jamie and her training company (The Institute for Creative Mindfulness) are providers of EMDRIA-Approved Basic Training Courses in EMDR Therapy. Jamie travels internationally speaking on topics related to EMDR, trauma, addiction, and mindfulness while maintaining a private practice (Mindful Ohio) in her home base of Warren, OH. She is the developer of the Dancing Mindfulness practice and a Reiki Master teacher. She also completed the StreetYoga Trauma-Informed Teacher Training Program and she is a Certified Yoga of 12-Step Recovery Facilitator/Space Holder. Jamie is also the author of Dancing Mindfulness: A Creative Path to Healing and Transformation (Skylight Paths Publishing, 2015). Speaker Disclosures: Financial: Jamie Marich is the Founder/Director of Mindful Ohio and The Institute for Creative Mindfulness. She receives royalties as an author for PESI Publishing and Media. 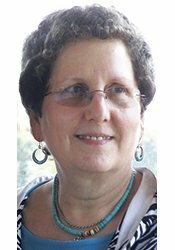 Dr. Marich receives a speaking honorarium from PESI, Inc. Non-financial: Jamie Marich has no relevant non-financial relationship to disclose. 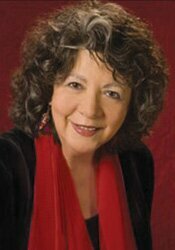 Financial: Babette Rothschild is in private practice. She receives a speaking honorarium from PESI, Inc. Non-financial: Babette Rothschild has no relevant non-financial relationship to disclose. 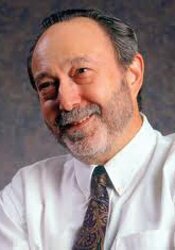 Financial: Stephen Porges is a Distinguished University Scientist at Indiana University; and a professor at the University of North Carolina. Dr. Porges has intellectual property rights, and receives royalties, from Integrated Listening Systems (iLs). He is an author for W. W. Norton and receives royalties. Dr. Porges receives a speaking honorarium from PESI, Inc.
Robert Scaer received his B.A. in Psychology, and his M.D. degree at the University of Rochester. 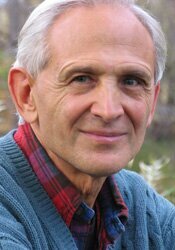 He is Board Certified in Neurology, and has been in practice for 39 years, twenty of those as Medical Director of Rehabilitation Services at the Mapleton Center in Boulder, Colorado. His primary areas of interest and expertise have been in the fields of brain injury and chronic pain and, more recently, in the study of traumatic stress and its role in all mental illness, as well as in physical symptoms and many chronic diseases. He has lectured extensively on these topics, and has published several articles on the whiplash syndrome and other somatic syndromes of traumatic stress. His first book, The Body Bears the Burden: Trauma, Dissociation and Disease, presents a new theory of dissociation and its role in many diseases. A second book, The Trauma Spectrum: Hidden Wounds and Human Healing, released in 2005, explores the insidious spectrum of culturally-based trauma that shapes our lives, and how transformation and healing may still take place. 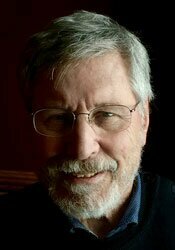 He is currently retired from clinical medical practice, and continues to pursue a career in writing and lecturing. This self-study course has been approved by PESI, Inc., as a NAADAC Approved Education Provider, for 3.75 CE in the Counseling Services skill group. NAADAC Provider #77553. PESI, Inc. is responsible for all aspects of their programming. Full attendance is required; no partial credit will be awarded for partial attendance. Connecticut Addiction Counselors: Provider #120924. This course has been approved as a CCB approved training and has been awarded 3.75 hours by the Connecticut Certification Board. This intermediate self-study activity consists of 3.75 clock hours of continuing education instruction. Credit requirements and approvals vary per state board regulations. Please save the course outline, the certificate of completion you receive from the activity and contact your state board or organization to determine specific filing requirements. This self-study activity consists of 3.75 clock hours of continuing education instruction. Credit requirements and approvals vary per state board regulations. Please save the course outline, the certificate of completion you receive from this self-study activity and contact your state board or organization to determine specific filing requirements. This intermediate activity consists of 3.75 clock hours of continuing education instruction. Credit requirements and approvals vary per state board regulations. Please contact your licensing board to determine if they accept programs or providers approved by other national or state licensing boards. A certificate of attendance will be awarded at the end of the program to participants who are in full attendance and who complete the program evaluation. Iowa Nurses: PESI, Inc. is an approved provider by the Iowa Board of Nursing. Provider #: 346. Nurses successfully completing these self-study materials will earn 4.5 self-study contact hours. Florida Board of Psychology: PESI, Inc., is an approved provider with the Florida Board of Psychology. Provider Number 50-399. This product qualifies for 3.7 self-study continuing education credits. Please make sure to bring your license number to the seminar so that we can report your attendance to CE Brokers. Florida Social Workers/Marriage & Family Therapists/Mental Health Counselors: PESI, Inc. is an approved provider with the Florida Board of Clinical Social Work, Marriage and Family Therapy and Mental Health Counseling. Provider Number 50-399. This self-study course qualifies for 3.75 continuing education credits. New York Social Workers: PESI, Inc. is recognized by the New York State Education Department's (NYSED) State Board for Social Work as an approved provider of continuing education for licensed social workers #SW-0008. This self-study activity will qualify for 4.0 contact hours. Full attendance is required; no partial credits will be offered for partial attendance. Expires: December 31, 2020. Ohio Social Workers/Counselors/Marriage & Family Therapists: PESI, Inc. is an approved provider with the State of Ohio Counselor, Social Worker and Marriage & Family Therapist Board. Provider approval #: RCST071001. Successful completion of this self-study course meets the qualifications for 3.75 clock hours of continuing education credit. This self-study activity qualifies for 3.75 clock hours of instructional content as required by many national, state and local licensing boards and professional organizations. Retain your certificate of completion and contact your board or organization for specific filing requirements.